Summary. The basic problems of evolution of marketing of educational services of enterprises of Ukraine are offered in the conditions of economic instability. Thus especially actual for domestic enterprises is diagnosticating of educational projects, programs, educational disciplines, account of enhanceable risk. 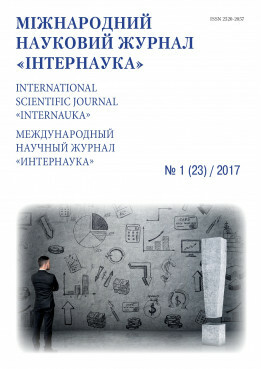 The system of equalizations of mathematical model is worked out, with the help of that it is possible to conduct optimization of marketing strategies and tactician of complex of educational services in the system "enterprise – educational establishment", and also to give recommendations in relation to limit nature and management possible risks. Key words: enterprises, educational resources, marketing, optimization, project analysis, project foods, diagnosticating, risks, probabilistic approach.